To post a new item or ad, click the “Post an ad” link in the home page. In the ‘Post an Ad’ section, you can add your item. The different fields in this section are given below. 1. Category : You can select a category from the dropdown menu. You can add your item to this category. 2. Item type : There are 2 types, offered and wanted. You can select the type of your item. To sell an item, choose ‘offered’. If you want to purchase an item, post that item in ‘wanted’. 4. Description : This is the item description. You can enter your item description here. 5. Country : This is your country. 6. City : Enter the target city here. 7. Locality : Enter the target location here. 8. Phone : Enter your phone number here. 9. URL : This is the item website address if any. 10. Photo : You can upload the image of the item here. 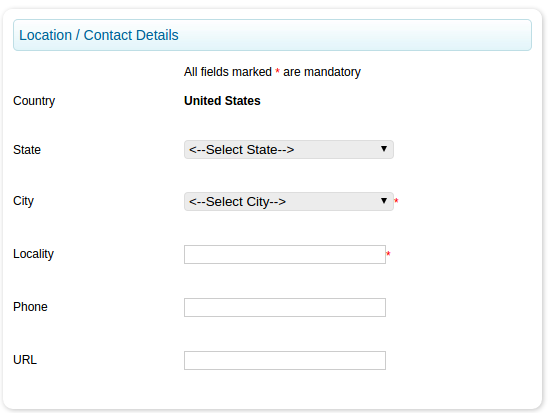 There are additional fields also based on the category selected. If the site allows you to add the post as premium one, it will contain that field also. 11. Post as premium ad : You can post your item as a premium ad. 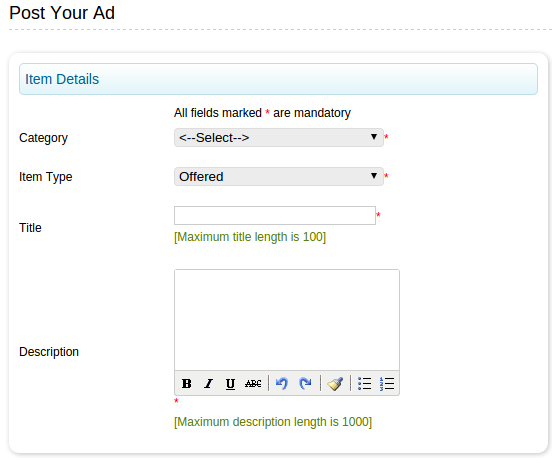 A premium ad is a featured one and it is displayed in the top of the page with an attractive style. There will be charges for making an item premium. The price is given as Premium price. If you select the option ‘post as premium ad’, you can to select a payment plan (if any) and pay the amount using paypal.